The closest thing to time travel. Hello my name is Jess and welcome to my portfolio of professional work. I am a 25 year old living in the Seattle area of Washington state. I've been doing photography for almost ten years now and it'd be an understatement to say it's my obsession. I am the proud father of a 6 year old daughter. I've practiced over the years taking her portraits and capturing her candidly. Unlike most photographers who only shoot with a big DSLR (Digital Single Lens Reflex) I tend to shoot with less intrusive cameras and my style is capturing reality in an unaltered way, however composing it with my own eye. I am just starting my professional career as a wedding, event coverage, and portrait photographer. My previous clients and family members I have had to pleasure of shooting weddings and portraits for will tell you I have a very unobtrusive style of capturing raw moments in a beautiful way. I've been shooting street photography for years now and it blends into my portrait and wedding style. 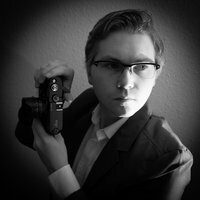 As I am only just now moving forward trying to make a career of photography, I currently don't have a lot of professional background work at this moment. As I start my business my rates are going to be considerably lower then any other professional photographer currently out there. Negotiable Too.